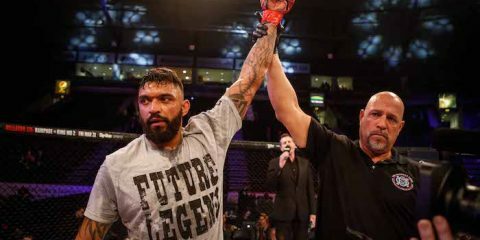 Matt Wiman has been forced to pull out of his lightweight bout at UFC Fight Night 62 against Leonardo Santos due to a back injury and replacing Wiman in the bout will be Tony Martin. 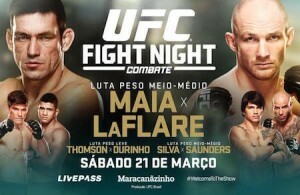 UFC Fight Night 62 will come from the Ginasio do Maracanazinho in Rio de Janeiro, Brazil on March 21 and will be headlined by Demian Maia meeting Ryan LaFlare in a welterweight bout. Martin (9-2) is coming off a kimura submission win at UFC 179 against Fabricio Camoes and it snapped a two fight losing streak. It was his first victory in the UFC and his first win since 2013. Santos (13-3-1) won TUF Brazil 2 in 2013 and has gone unbeaten in the UFC. His last fight came in September as he defeated Efrain Escudero by unanimous decision. The current UFC Fight Night 62: Maia vs. LaFlare fight card is below.